We entered Peru from North Chile via Tacna, which was an easy border crossing. The first night we stayed in Ilo, a small beach town and much nicer than Tacna. The next day we rode to Arequipa, a beautiful colonial town. Unfortunatelly Robin had to undergo a little “operation”. He bit his lip and as a result he had had a growing mukozele on his lower lip that just didn’t go away. So it had to be surgically removed. 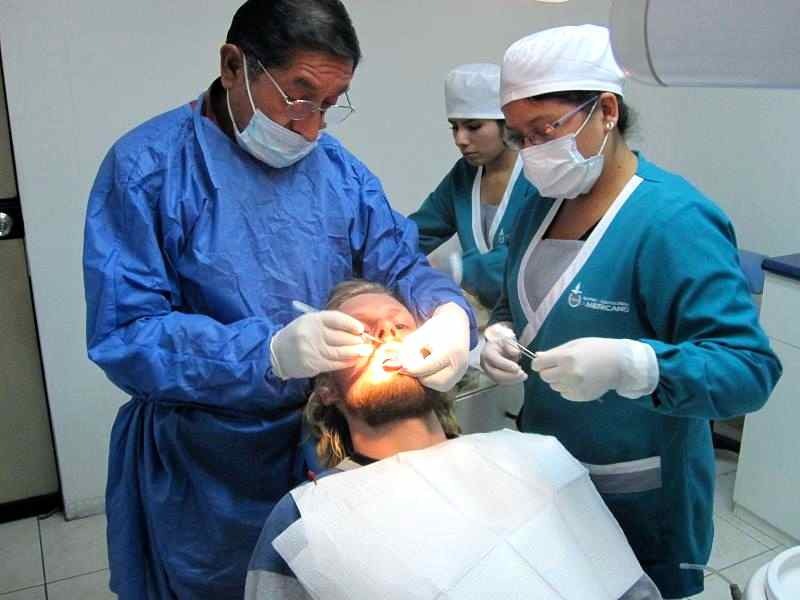 The next couple of days we just relaxed in Arequipa and had the stitches removed before we continued towards Cuzco. 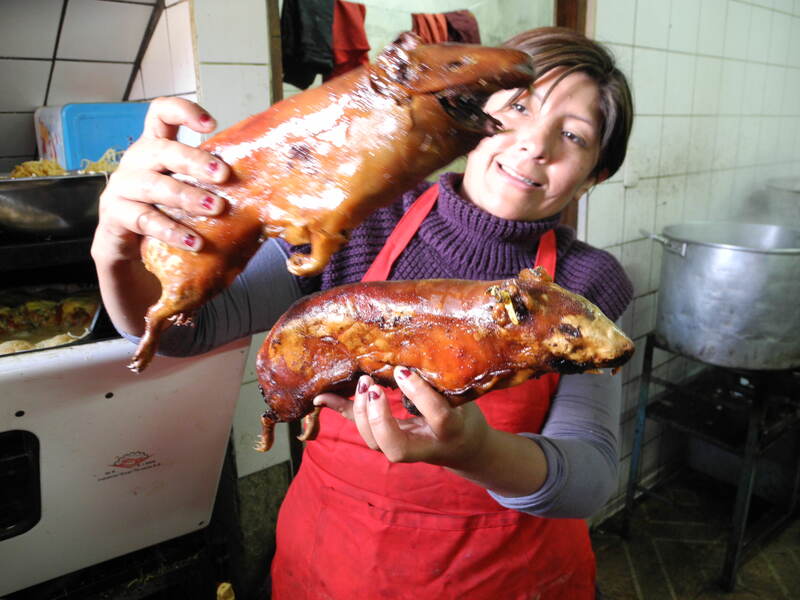 Cuzco is an extremly touristic city and compared to Arequipa it seemed a lot less authentic. 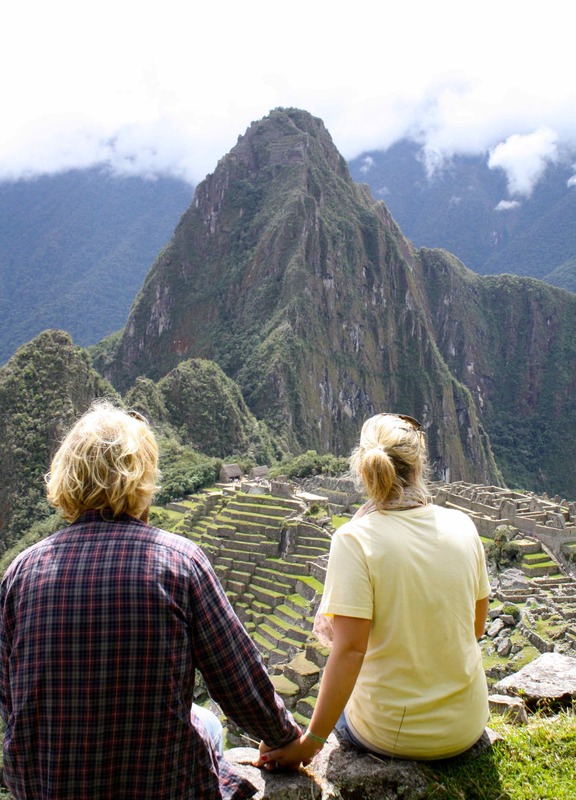 Our friends Gerry and Andi came over to visit and to do Machu Picchu together. 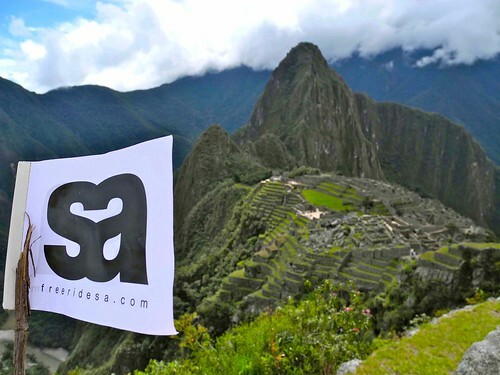 It was pretty complicated and expensive to get the trip to Machu Picchu together but in the end it was more than worth it. There are several options to get to the old Inka town. 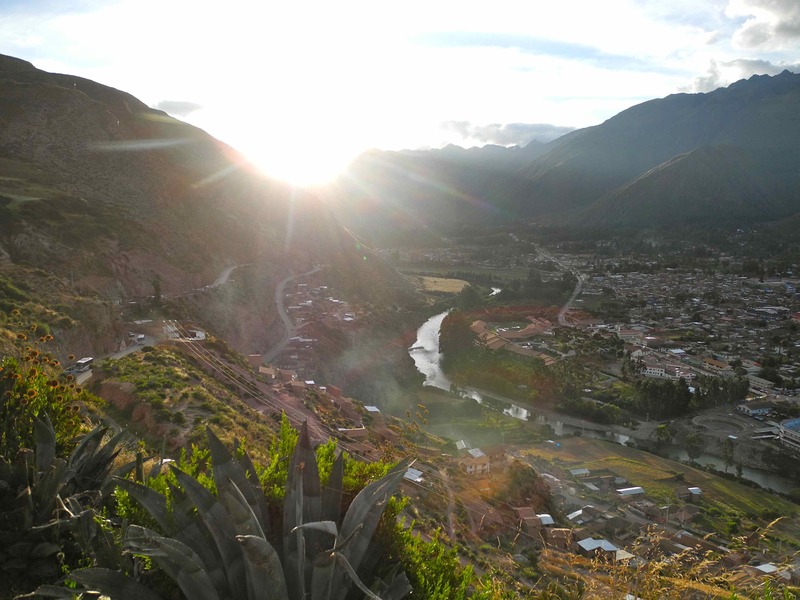 As we didn’t have a lot of time with our friends, we decided to take a taxi to the Sacred Valley, Ollantaytambo, and take the train from there (1,5 hours, 40 US$ p.p.). This option was still a lot cheaper than doing the whole trip by train from Cusco. However, travelling on a motorbike, we would recommend riding the bikes up to a small town called Santa Teresa and walking from there. 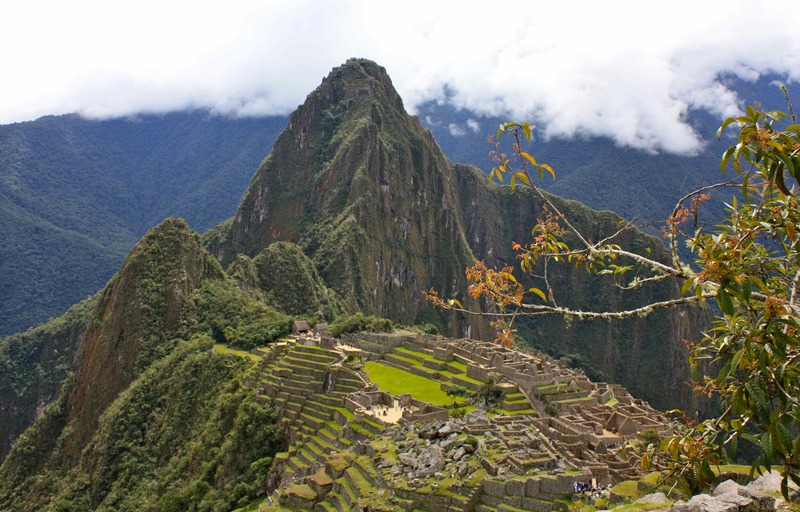 It will take around 2 hours to get to Machu Picchu and you can avoid paying rip-off prices for the trains. 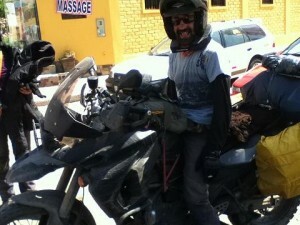 It is also quite easy to rent offroad bikes in Cuzco, the typical 250s are available for around $ 30 per day. Unfortunately, we just did not have enough time with our friends for this version. For some reason, the girls left the table when Andi and Robin got their plates….and to be fair it is weird eating guinea pig. The region of the Sacred Valley is located at an altitude of 3800 meters and is very beautiful. 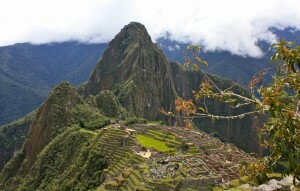 Machu Picchu itself was really impressive. You can wander around the old ruins for hours, soak up the special atmosphere or get a guide to explain what is known of this world heritage site. We were all blown away although the many tourists spoilt the fascination a little bit. We are now in Lima together with Lola and Oscar, a Spanish couple travelling on one BMW F800GS from Buenos Aires via Ushuaia to Alaska. We met them on the way to Lima and have a good time together. Our next stop will be Huanchaco near Trujillo where we want to stay for some time to realize a social project working with kids from the street. 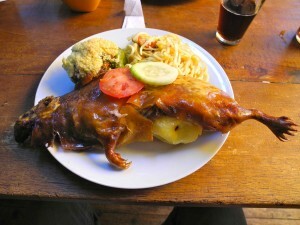 This entry was posted on Montag, Mai 30th, 2011 at 16:44and is filed under Peru. You can follow any responses to this entry through the RSS 2.0 feed. You can leave a response, or trackback from your own site. WOW! Great pics and video! So jealous! Travel safe and enjoy the ride!